Why I for-reals love Hillary Clinton | spifftacular. Over the past few weeks I’ve had a few friends reach out to me, expressing that they felt conflicted about who to vote for president, and wanted to get my opinion or talk it through with me. I’m so grateful for those friends and those conversations—I hope it helped them, and it certainly helped clarify my own thoughts. So many of my friends are Republican/conservative (for the record, I tend to lean progressive) but are adamantly against Trump. If anyone is feeling conflicted, I thought I would share my thoughts. I’ve been quiet but enthusiastic in my support of Hillary, and as the dream of a landslide win fades away, I wanted to share why I for-reals love Hillary Clinton. The most compelling reason for all of us to support Hillary is that she is the only way to prevent Trump from becoming president. And I’m so glad that many people recognize how dangerous that would be: Not only is he racist, misogynist, dictator-loving, functionally illiterate, and unable to govern his own behavior or string together a coherent sentence; he also displays a contempt for common decency and the rule of law. (This list details 230 reasons he is unfit to be president.) For my conservative peeps: this article presents a conservative case for voting for Hillary; these letters from Republicans about choosing country over party are touching; and this article specifically addresses the concerns of pro-life voters. “A conservative writer labeled her a congenital liar when she was first lady, and the label stuck because it was repeated over and over—and it was a convenient label to harness misogyny. If she was a liar, then the hostility she engendered could not possibly be because she was a first lady who refused to be still and silent. ‘Liar’ has re-emerged during this election even though Politifact, a respected source of information about politicians, has certified that she is more honest than most politicians—and certainly more honest than her opponent. It is a tragedy that Americans died in Benghazi. And although it could have been handled better, it was not criminal, and there were numerous documented deaths (around 80 people, according to Politifact) at embassies during the Bush administration. The hundreds of hours and millions of dollars spent on the investigation amount to a witch hunt. Hillary used a private email server. So did her predecessor Colin Powell. I don’t think it’s ideal that they did it, but people hardly seemed upset about his use compared to her use of private email. Hillary said in a leaked video that politicians need to have “both a public and a private” negotiating position. For some people, that fed into an image of Hillary as focused on political expediency rather than principle. (I don’t like that she’s cozy with Wall Street, of course, but again, that doesn’t outweigh my reasons for supporting her.) But I think Hillary’s view is reasonable—she cited Lincoln as inspiration, who used strategic negotiations to pass the 13th Amendment. And for goodness’ sake, our Constitution was written under a code of secrecy, so that the Founders could maintain a private view until they reached a consensus they could present to the public. The fact is, so many of Hillary’s “flaws” are fueled by fear and fiction. But of course, she does have real flaws. The problem is that we don’t allow women to be complex and flawed the way we allow men to be. So what is simply “flawed” many people jump to call “evil.” If you have a particular concern about Hillary you’d like to talk through with me, we could try that (commenters be warned, though: I am not interested in debate). But ultimately, I can live with Hillary’s flaws—not only because she is simply our “my only hope” at avoiding Trump, but because I love her as a whole person. I love her grit. “Grit” is kind of a buzzword in parenting and education circles these days—basically, studies show that kids who have grit, or the willingness to stick with something even when the going gets tough, are more likely to be successful (doing well in school, having fewer social/emotional/behavioral problems, caring about others, etc.). Few people exemplify grit better than Hillary Clinton. She has endured so much for so long, and with such grace. I hope future historians will note that the first woman president endured the indignity of being the most qualified woman in America matched against the least qualified man in America, and yet the election was still a toss-up. She is hardworking. For evidence, just look at the “Texts from Hillary” meme. She is diligent and careful in her work, and particularly on the campaign trail, she has incredible stamina. People joke that she is a robot, but I think we need to accept that she is just a really hardworking, capable woman. She is competent and intelligent. She had high approval ratings as Secretary of State, and was respected by colleagues across the aisle in the Senate. And from her beginnings as valedictorian at Wellesley College to today, her intelligence is uncontested. She has long championed the idea of women’s rights as human rights. She was the first Secretary of State to declare the subjugation of women worldwide as a serious threat the U.S. national security, and that inversely, the empowerment of women is a stabilizing force for domestic and international peace. (This book, which is written by an LDS scholar, explores this topic in detail.) I personally became committed to this issue after reading “Half the Sky” and would love to have a president who shares these concerns. She is a person of faith. I don’t expect her to share my religious views, but in this Deseret News op-ed, a former Mormon speechwriter for Hillary describes Hillary as “a woman of sincere faith” who is “at her core, a Midwestern Methodist.” “In virtually every speech, she had us reiterate that her goal is to help build a world in which every boy and girl has the opportunity to realize their God-given potential.” Bonus: She learned about Mormon family home evening and adopted the practice as a young mother. She has thoughtful, concrete plans. I don’t expect the president to solve all of my, or our country’s, problems. (Our lawmakers share some of that responsibility, as do each of us.) 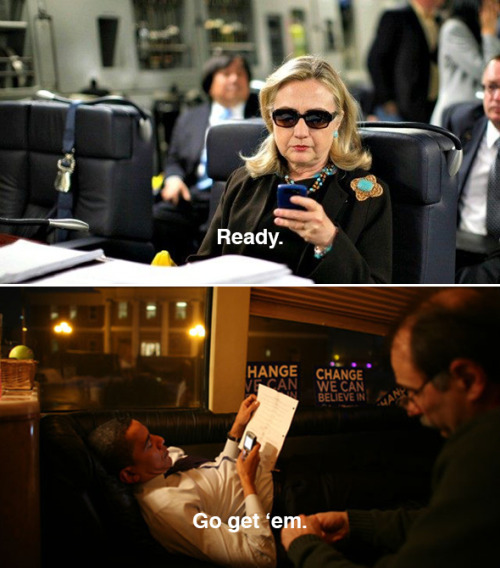 But I do love that I can trust Hillary to make careful plans to address whatever challenge faces our country. In particular, I appreciate that she has plans to guarantee paid family leave, which is essential for emotionally and financially secure families, as well as many other important issues. She offers a much-needed leadership style. The takeaway from this profile of Hillary was eye-opening to me: Hillary’s leadership style is to listen more than she talks. And she doesn’t only listen to pick up stories to use in speeches, but to actually learn how she can make people’s lives better. She also listens to those who disagree with her and has a record of collaboration and compromise (a requirement for any effective leader). Unfortunately, we only value leaders who talk (see the wonderful book Quiet: The Power of Introverts in a World that Can’t Stop Talking), and we confuse confidence with competence (see this article in HBR). We punish people like Hillary who tend to be listeners, but that skill is so needed in the role of governing (rather than campaigning). I feel so strongly that a vote for Hillary is a vote for leaders who listen. She is experienced. Throughout the campaign, critics have tried to use her experience or her “establishment” role against her. I get that D.C. and its ways can become calcified, and that outsiders can infuse a helpful new perspective. But as Hillary herself has argued in the debates, preparation and the wisdom of experience are positive. This critique can often be gendered: As men get older, they tend to become more distinguished; as women get older, they tend to be seen as less relevant in the public sphere. I want to show that women don’t have a shelf life when it comes to the positive influence and power they can have. Hillary is the woman in the arena. Her face is marred by dust and sweat and blood. Some people would like to put her away for that. But as for me—it makes me love her even more. She is a woman. I would love to have a woman president. True story: thanks to the Friend magazine, Lars is oddly really good at identifying the names and faces of the First Presidency and Twelve Apostles of the LDS Church. For example, he’ll point to a picture and say, “That’s President Uchtdorf! That’s a grandpa!” And I would love to have him point to a picture and say, “That’s President Clinton! That’s a grandma!” I would love for him, and all children, to recognize that both grandmas and grandpas have so much to offer our society as leaders. I am willing to take a leap of faith. Politicians must merit our scrutiny during campaigns, and during their time in office. But Election Day is special. On this day, we take a break from the scrutiny to make a conclusion—to make a choice. We simply can’t be certain if candidates truly are what we believe or hope them to be, but we must take a leap of faith in one direction or another. A vote is an act of faith. And this year, for the office of president, I choose to place my faith in Hillary Clinton. I hope that we can also heal from this bruising election, and begin to put faith in each other again. Really well written and thoughtful Holly. My vote is for Anybody But Trump, but now I feel more justified in it. Thank you, Dad! Your comments are always the best. I am grateful that you’ve been against Trump all along. And I agree it would be great to add more options beyond the two-party system. Love you! I love everything about this and couldn’t agree more. I think she will be great. I knew we would be friends! 🙂 And great links too, I really enjoyed them, especially the one on being Pro-life. Thank you for posting!